I will confess that gluten free baking and cooking can be quite challenging. It requires much more preparation and planning. I am getting better at being prepared, but if I am honest there are times that I would love to run through a fast-food drive thru after late soccer practices or head to a local donut place on a Saturday morning. While the choices for eating out are getting better, this just doesn’t happen much. For the most part I have to stay pretty prepared and on top of things. All of this work for going gluten free can get a little overwhelming at times; though we (as a family) are all learning to adjust. I also have found some reliable resources that I know I can always depend on working well. America’s Test Kitchen recently came out with their own gluten free cookbook and it has quickly become my go-to cookbook for all things gluten free. Just like with all of ATK’s cookbooks they go to the science behind recipes and don’t settle for mediocrity. When I heard the editor interviewed on NPR, I knew this was a cookbook I had to add to my library. Boy am I glad I did. The recipes are fantastic!!!! I will even go out on a limb and say I could make these recipes and no one would ever know that they were gluten free. 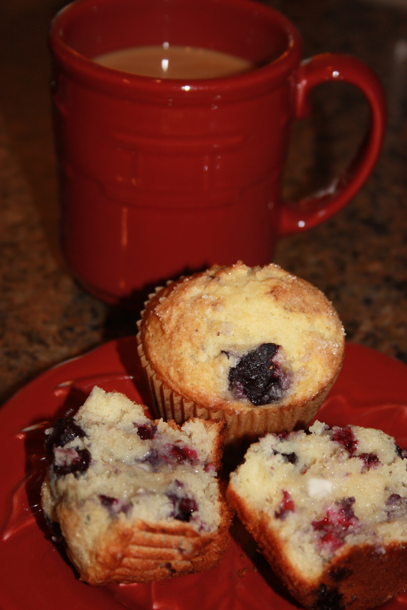 Muffins have always been a favorite of mine and this blueberry muffin recipe is great. I can easily make these and we get to enjoy wonderful muffins. I even made these when we had our houseful of guests and several committed that they never would have known they were gluten free. Whisk flour blend, baking powder, salt, cinnamon, and xanthan gum together in a large bowl. In separate bowl, whisk granulated sugar, melted butter, yogurt, eggs, and vanilla together until well combined. Using a rubber spatula, stir the egg mixture into the flour mixture until thoroughly combined and no lumps remain. Gently fold in blueberries until evenly distributed. (The batter will be very thick an stiff.) Cover bowl with plastic wrap and let batter rest for 30 minutes. Positon oven rack to middle position and heat oven to 375 degrees. Spray or line a 12-cup muffin tin with either cooking spray or paper liners. (Sometimes I line 18 muffin tins and have smaller muffins.) 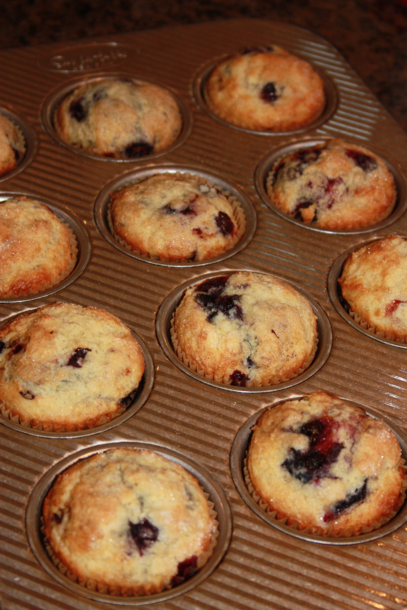 Using a large scoop, portion the batter evenly among the prepared muffin tins. Sprinkle the tops with turbinado sugar. 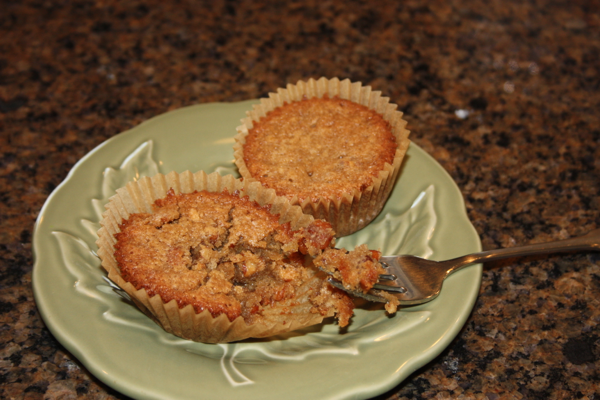 Bake until muffins are golden and toothpick inserted in the center comes out clean, 16-20 minutes. Enjoy! 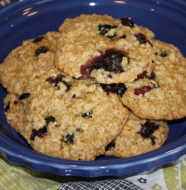 4 Comments on "GF Blueberry Muffins"
Thank you so much Dinah for posting this gluten-free recipe!! So many of us our trying to be GF these days! 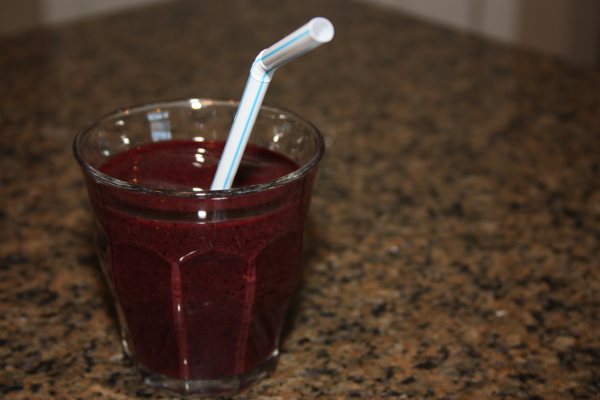 I use Premium Gold Gluten Free Flax & Ancient Grains Flour from Costco. It contains Xantham Gum. Do you think it would work to use this in place of the Gluten Free Flour Blend and Xantham Gum? I noticed your Flour Blend has milk powder which my flour doesn’t have. I would try it and see. It should be fine. I have found that I really like the ATK flour mixture and am starting to experiment with it in other recipes and have been pleased. I don’t think you should worry about the milk powder. Let me know how it goes. You are welcome Tammy! I will keep them coming!